The story of how Russian operatives secretly manipulated Facebook, Twitter, Google, and other social-media platforms during the 2016 election is getting bigger, uglier, and more urgent—and, according to numerous recent accounts, Russia’s use of bots and trolls is still going on. On November 1, executives from Twitter; Alphabet, Inc., which runs Google; and Facebook—including Facebook’s general counsel, but neither CEO Mark Zuckerberg nor COO Sheryl Sandberg—are expected to appear before a rare open hearing of the Senate Select Committee on Intelligence (SSCI). Among other topics, they will be grilled about alarming new reports—including a series of revelations from inside Russia itself—about Moscow’s covert purchase of political ads, use of countless Internet bots and trolls, and creation of fake American users, all as part of an effort to instigate racial and religious conflict and spread conspiracy theories during last year’s campaign and beyond. This is Part I of a two-part report on how and why Russian operatives made use of Facebook, Twitter, and other social media in the 2016 US election. In Part II, I’ll examine the question of collusion: Did the Russians have help from Donald Trump’s campaign and its data gurus? All of this is getting some belated attention from the trio of Internet giants, as well as members of Congress from both parties who are searching for ways to stop it. 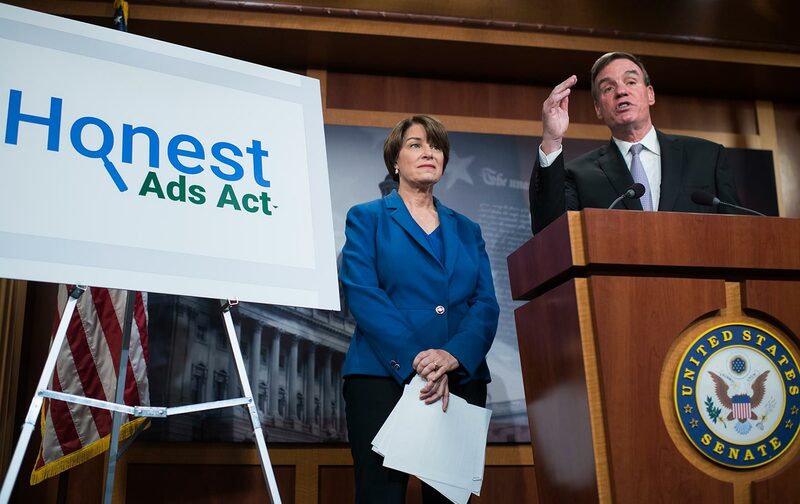 Last Thursday, Democratic Senators Amy Klobuchar and Mark Warner, along with Republican John McCain, announced the introduction of the Honest Ads Act, which would regulate political advertising on the Internet much like such advertising on television and radio. It would compel the biggest social-media platforms to archive and maintain a public file of all political ads for buyers who spend more than $500 and require them to “make all reasonable efforts to ensure that foreign individuals and entities are not purchasing political advertisements in order to influence the American electorate,” according to its sponsors. A parallel bill in the House is sponsored by Colorado Republican Mike Coffman and Washington Democrat Derek Kilmer. Many other members of Congress, including at least two members of the Senate Intelligence Committee, are looking into the issue as well. Senator Richard Blumenthal says he’s considering an even tougher bill. “It’s only going to expand,” said the Connecticut Democrat. “We have to muster a self-defense, just as we would [from] a military or a cyberattack.” It seems clear now that, at the very least, one consequence of Russiagate will be a whole new set of rules and regulations for the corporate giants of the online world, who until now have coasted along in a mostly regulation-free Wild, Wild West. The impact of the Russians’ use of American social media in 2016 may have been much greater than first reported. Initially, it seemed very limited: According to a September statement by Facebook’s chief security officer, Alex Stamos, Russian-government agents spent about $100,000 on something like 3,000 ads through 470 inauthentic Facebook users. However, in introducing the Honest Ads Act, Senator Warner, vice chairman of the SSCI, suggested that what we know now is just “the tip of the iceberg.” And new research, investigative reports, and revelations from inside Russia, are beginning to give us an idea of just how enormous that iceberg is. In a report issued by Jonathan Albright of the Columbia Journalism School, just six of the bogus, Russian-sponsored Facebook pages were shared 340 million times. 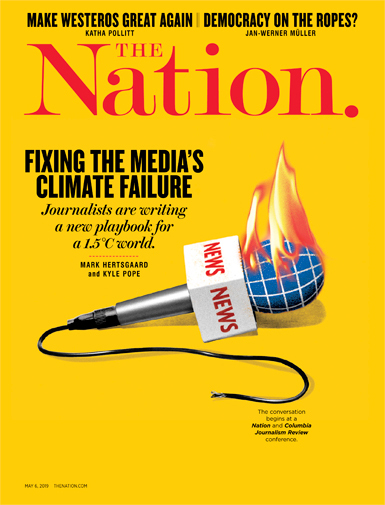 According to Jonathan Albright, research director at the Tow Center for Digital Journalism at the Columbia Journalism School, even a subset of the Russian-backed ads—reportedly propagated by an outfit called the Internet Research Agency in St. Petersburg—could have echoed around the Internet millions or even billions of times, reaching a vast audience through “likes,” shares, and reposting. In a report issued by Albright and covered by The Washington Post, just six of the bogus, Russian-sponsored Facebook pages—under such diverse handles as Blacktivists, United Muslims of America, Being Patriotic, Heart of Texas, Secured Borders, and LGBT United—were shared 340 million times. That’s from just six sites, and there were 464 others that Facebook has admitted to finding. Plus, there could be hundreds or thousands of other undiscovered sites, perhaps fostered through cutouts or that weren’t paid for in Russian currency. Indeed, according to one study, as many as one-fifth of all election-related tweets may have stemmed from automated bots. Not all were Russian-related, of course, but the study did find that pro-Trump bot output exceeded pro-Clinton bots by a factor of three to one. Many of the Facebook ads were posted by wholly fabricated Russian users, often posing as nonexistent Americans, seeking to highlight racial and religious conflicts, anti-immigrant tensions, and radical-right points of view, either designed to excite Trump-leaning Internet users or depress and alienate Clinton-leaning ones. Others simply picked up and recast or exaggerated existing American opinion through posts and memes. Though only a tiny portion of the ads have been made public so far, Representative Adam Schiff, the California Democrat who is the ranking member on the House Permanent Select Committee on Intelligence, wants to make them all public eventually. “The American people deserve to see the ways that the Russian intelligence services manipulated and took advantage of online platforms to stoke and amplify social and political tensions, which remains a tactic we see the Russian government rely on today,” said Schiff. Robert Mueller’s End Game: Is Trump’s Impeachment a Possibility? Are Russia’s ‘Friends’ Hiding in Your Facebook Feed? Meduza also reported on what it called a “massive investigation into [the] St. Petersburg troll factory’s U.S operations” by the Russian magazine RBC. “The Internet Research Agency, Russia’s infamous ‘troll farm,’ reportedly devoted up to a third of its entire staff to meddling in U.S. politics during the 2016 presidential election. At the peak of the campaign, as many as 90 people were working for the IRA’s U.S. desk, sources told RBC, revealing that the entire agency employs upwards of 250 people,” it reported. “A source also told RBC that the Internet Research Agency spent almost $80,000 over two years, hiring roughly 100 local American activists to stage about 40 rallies in different cities across the United States. The activists were hired over the Internet, communicating in English, without their knowledge that they were accepting money or organizing support from a Russian organization. According to RBC, internal records from the IRA verify its role in these activities.” The details in RBC’s report are difficult to confirm, but US reports are beginning to emerge of American activists and rallies set into motion by Russian-sponsored social media activity. Picking up from the same reports, and adding reporting of its own, The Washington Post cited the case of Lyudmila Savchuk, a former IRA employee, one of several Russians who have filed lawsuits against the Internet agency. Reported the Post, “‘I wanted to take down this factory of lies, and I still do,’ said Savchuk, who describes her two months at the agency as an undercover investigation. ‘But it takes a toll, and it isn’t easy.’” The Post quoted Ivan Pavlov, Savchuk’s attorney, who says that the IRA has since last year changed its name to Teka. Yet its trolling department remains in the same St. Petersburg location, a gray building north of the city center, said Pavlov. So, what’s known about the IRA? The Internet Research Agency has in fact been the subject of scrutiny in the United States for years. Two years ago, it was the subject an investigative report in The New York Times Magazine, and the report issued this past January by the US Office of the Director of National Intelligence, the Intelligence Community Assessment (ICA) about Russia’s 2016 election meddling, named the IRA as a critical part of Moscow’s efforts. “The likely financier of the so-called Internet Research Agency of professional trolls located in Saint Petersburg is a close Putin ally with ties to Russian intelligence,” said the ICA.